The Delta State Police Command has disclosed plans to undertake range practice for three days in Ogwashi-Uku and environs by a detachment of policemen currently on local training programme. 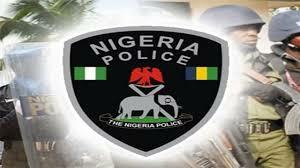 According to a statement by the Police Public Relations Officer, Delta State Command, DSP Andrew Aniamaka, the range practice will take place from Thursday November 8 through Saturday November 10 from 9am to 4pm daily at 31 Police Mobile Force improvised shooting range along Ogwashi-uku/Kwale Road, Delta State. The statement advised members of the public not to panic at the sound of gun shots/other related sounds and to stay away from the range site.